If you’re a landlord, you undoubtedly explored the question of how best to collect the rent each month. Do you ask for a check, does your tenant mail it to you, drive it over to your home, or send it to a P.O. Box to keep your personal address private? When do they pay, when is rent late, how do you keep tabs on all this and actually enforce it without getting too casual? Well, back in the old days it was likely a very manual process, and one with a lot of gray area. But thanks to technology, there’s a better way to collect the rent, and you can take advantage for free. There’s a relatively new online service by the name of Cozy that lets landlords collect rent from tenants for free, without having to lift a finger (once the initial setup is complete). Aside from being a godsend for landlords, it’s actually a huge relief for tenants too, especially the younger, Millennial types who happen to favor convenience over all else. With Cozy, you can set it and forget it when it comes to collecting rent, and do so free of charge. 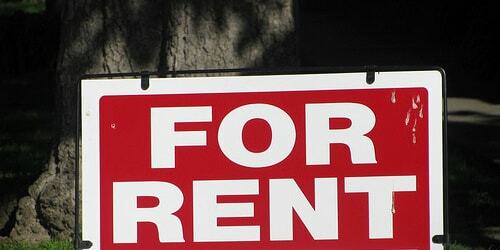 Instead of taking chances using services like PayPal that aren’t intended to collect rent, you can go with a service made for landlords and remove the worry. I recently set it up for one of my condos and it’s been a great service so far. It’s pretty easy. You simply sign-up on their website then add a “new property.” So if you have a condo or a house, you add the address and create your listing in a couple minutes. From there, you simply create a “new lease” and add all the pertinent details, such as the lease term, monthly rent, tenant name, and so on. Once that’s done, you’ll need to add a bank account so you can collect rent from your tenant(s). Your tenant(s) will have to do the same, and both accounts will need to be verified, similar to how PayPal and other companies verify bank accounts. Usually with two small deposits that are temporarily placed in the account. Once that’s done, you can begin collecting rent for your property automatically each month and don’t have to do another thing from that point on. 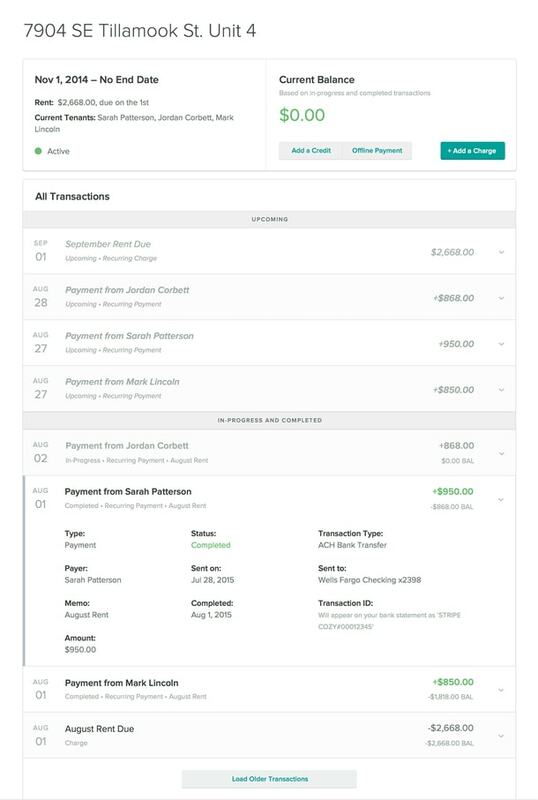 That’s right – the lease you created with Cozy will automatically pull rent payments each month from your tenant’s bank account (or credit/debit card) and eventually wind up in your bank account. It’s pretty awesome. Now you might be wondering what the catch is here since other online rent collection services may charge a fee for the convenience. Well, there is a catch, but it’s insignificant, at least in my mind. If you want to collect rent for free, there’s a small waiting period before your money is deposited into your bank account. It generally takes five business days to receive your rent money in your bank account via ACH. This is basically how Cozy makes money, as far as I can tell. They hold the funds for X amount of days, which may earn them a small amount of interest (multiplied by lots of accounts = a large amount of interest). Another way Cozy makes money is by giving you the option to speed up this process. Their “Express Payouts” option costs $2.99 per month and will result in you getting paid in three business days instead of five. 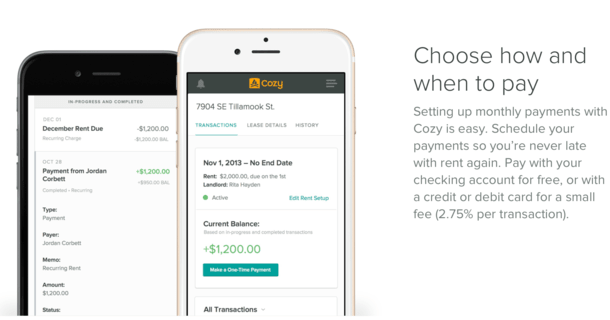 Cozy also gives renters the ability to pay by debit or credit card with a 2.75% fee. This is yet another way they earn revenue, though it’s completely optional. The tenant can still add a bank account and do it all for free too. All in all, I’ve been really happy with Cozy. As I mentioned, it’s free, it’s easy, and payments tend to arrive the same time each month because it’s all automated. And you don’t have to worry about the tenant being late, or having to prod them to pay up since it’s all on autopilot. The lag time in receiving rents also isn’t an issue since a paper check would likely take a day or two extra in the mail and would require clearing into your bank account. You might also have to drive to the bank. Boo! Lastly, the whole thing is archived online so if there’s an argument over when the rent was or was not paid, it’ll be easy to collect the facts quickly.